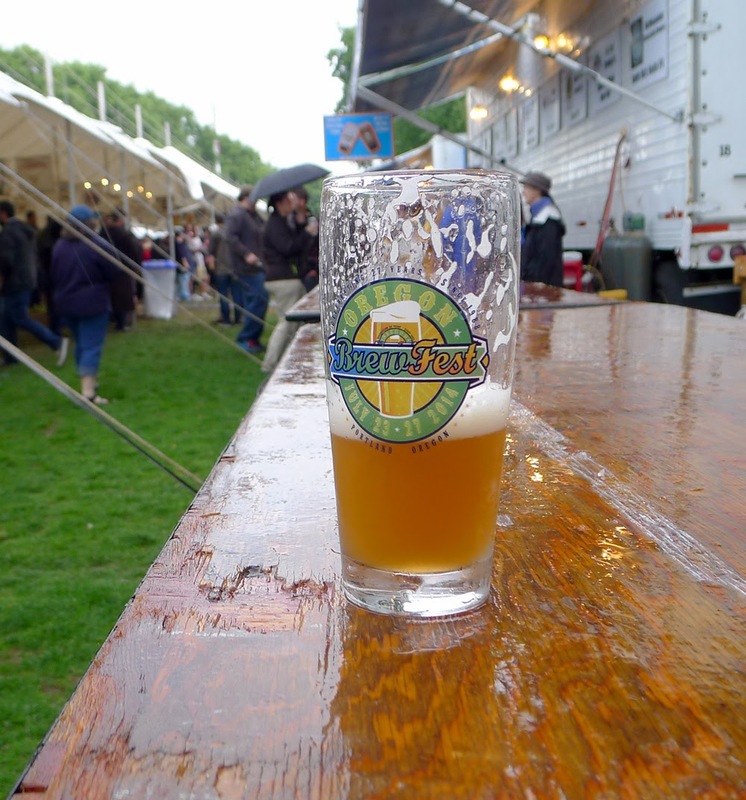 It's pretty much an accepted fact that the Oregon Brewers Festival is the crown jewel of Oregon Craft Beer Month and the granddaddy of all Oregon beer festivals. Yet I am beginning to wonder if the OBF and other events held during the wacky outdoor season aren't losing some of their luster in the face of relentless competition. When the post-event press materials for the 2014 OBF arrive, they will almost certainly document a drop in attendance (announced attendance last year was 85,000). Numbers were down Wednesday and Thursday, and Friday seemed much less crowded than usual. I doubt they made those losses up on the weekend. Less than perfect weather the first two days was obviously an issue, but not the only one. Here's the thing: This event was once a novelty. You could go to Waterfront Park and, in one place, taste beers you might not find anywhere in town. Even if you could find them, you wouldn't be drinking them in a festive, outdoor space. I vividly remember my first OBF, walking the grounds and marveling at the beer and the venue. That experience is no longer a novelty here. On any given summer day in Portland, you can choose from numerous establishments that offer a multitude of unique beers on tap and outdoor seating to boot. And no lines. I don't think it's a stretch to say a growing number of people have discovered that these places offer a plausible alternative to the OBF and other summer festivals. Don't get me wrong, I'm not grinding on the OBF, which remains a great event. In fact, one can easily argue its success is in many ways responsible for the excellent watering holes around Portland. The OBF and spin-offs of its ilk helped spread the gospel of craft beer. The result is the vibrant beer scene we have. The reality of escalating competition is not lost on OBF organizers. Moving to a glass tasting vessel last year was part of giving festival goers a better experience (the glass will be gone next year, replaced by a Lexan cup to satisfy the city, I'm told). Adding days to spread the crowd came out of the same thinking. This year's addition of Dutch brewers gave the event an international flavor for the first time. And so on. Given what's happening in the background, expect organizers to seek additional ways to reinvent the event in coming years. What that means is uncertain, but the tried and true formula used for 27 years will have to evolve to keep the event as relevant as it has been. Spectacular growth is creating interesting challenges in craft beer. There are worse problems to have.